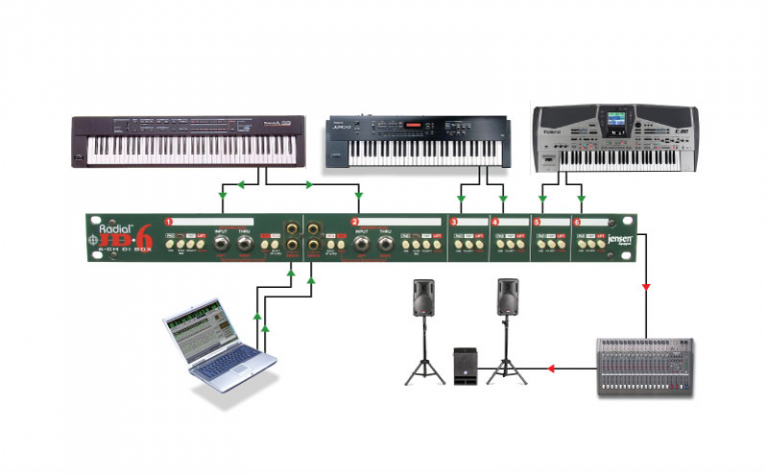 The JD6™ a high performance six-channel rackmount direct box designed for the most demanding studio and live touring applications. 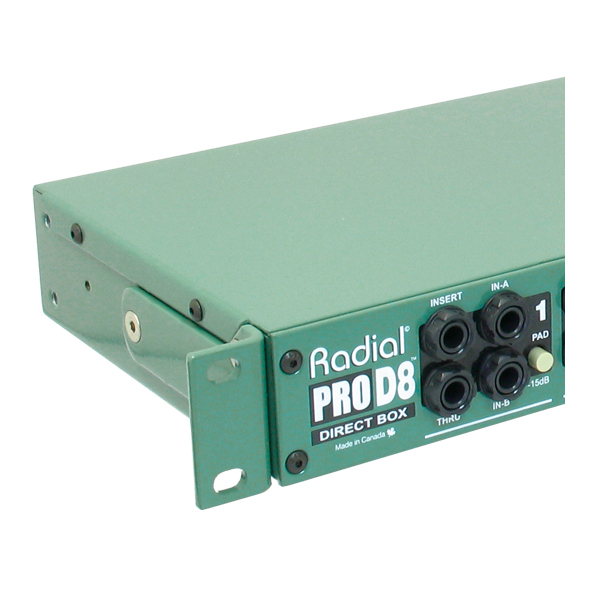 Stemming from the industry standard Radial JDI™, the JD6 incorporates six premium Jensen transformers with extra RF filtering to ensure optimal signal transfer with the minimal noise, phase shift, or distortion. 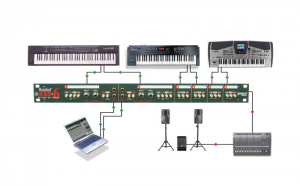 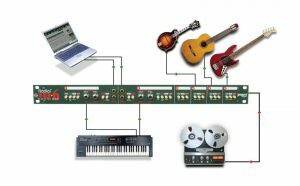 These are also able to withstand extreme signal levels, which makes the JD6 particularly effective when managing high-output active devices such as digital pianos that will often overload most direct boxes or preamps. 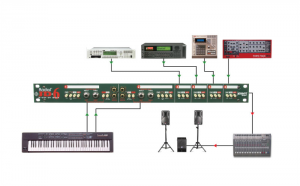 Each JD6 channel is equipped with a rear-mounted ¼" instrument input and thru-put for the artist's amp plus a balanced XLR output to feed the mixing desk, while Channels 1 and 2 include front panel connectors that switch the input as soon as a cable is inserted for improved efficiency in the studio. 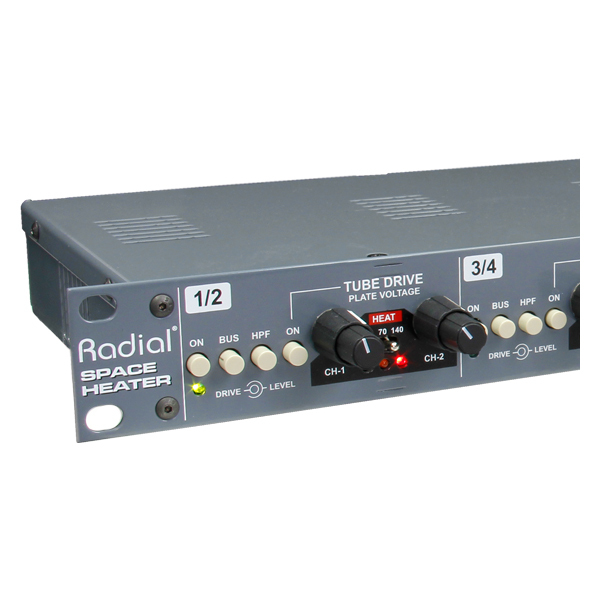 The front panel RCA switch lets you toggle between sources, such as a computer or CD player, with your keyboards making the JD6 particularly effective when used in larger touring rigs. Use channels 1 and 2 to patch in a stereo master keyboard via the front panel and connect your rackmount synths and modules using the rear panel connectors. The JD6 is great to patch in all kinds of instruments… not just keys! 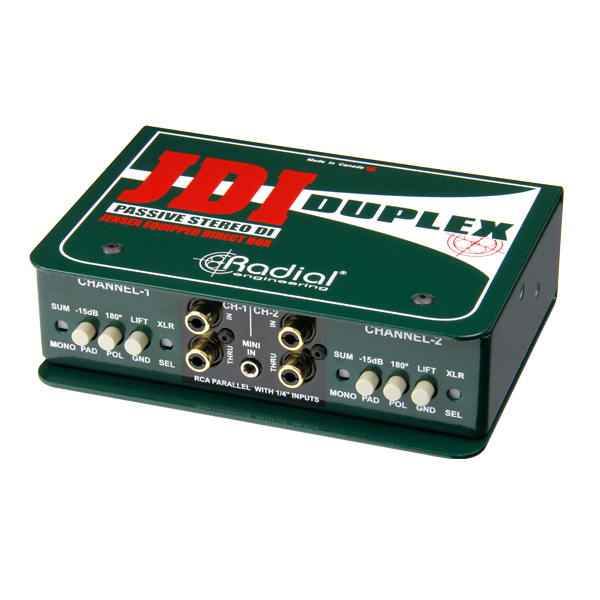 It features the same fabulous audio signal path as the world renowned Radial JDI, only six times better!